When it comes to licensed products, movies and kids’ television shows still rule the roost, with Disney, Marvel and Star Wars toys lining the shelves and selling gangbusters all year round. But while the icons of passive media rake in millions year on year, the video game industry has quietly crept up and overtaken film as the most profitable entertainment industry in the world. As of 2015, the video games industry, worldwide was worth a staggering $118.6 billion. 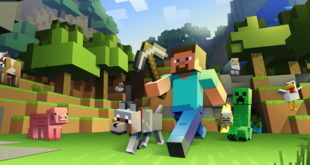 While certain brands like Minecraft and Nintendo have begun to push into the toy market in a big way, the vast majority of lucrative licenses still remain untapped. The market is showing such potential that Brand Licensing Europe has highlighted it as a main target area for their trade show this year. BLE will even introduce a brand new Gaming Activation Zone to show, aiming to attract more big names from the world of games. While videogame franchises have not successfully crossed into the toy market, toys have begun to cross over to videogames in a huge way due to the Toys to Life genre. LEGO has always had a strong foothold in the games industry with its various licensed platformer games but lately the company has taken cues from Skylanders and Minecraft with LEGO Dimensions and LEGO Worlds. Dimensions sits firmly in the ‘Toys to Life’ category, while Worlds is a building game akin to Minecraft, which itself owes a great debt to LEGO with its building-based gameplay. Conversely, licensed video game products remain relatively niche. Fledgling apparel firms like Insert Coin have begun to cater to this lucrative but untapped market. One such firm that has placed its stakes in video game-based products is J!NX, with apparel and toy ranges based on such hit video games as Minecraft, The Witcher and Rocket League. We caught up with Sean Gailey, co-founder of J!NX to find out why gamers are hungry for merchandise. While you are sure to find J!NX’s popular Witcher 3 Geralt figure on the shelves of your local GAME, you are unlikely to find it on the shelves of your local Toymaster. 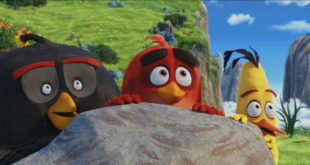 However, one video game franchise that has now become a triple threat with movies, TV shows and merchandise is addictive mobile action game Angry Birds. 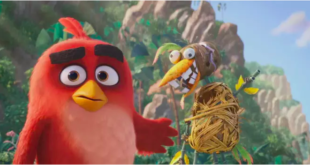 SCS Direct have recently inked a deal with Rovio to produce toys based on the franchise who joins a raft of other licensees. Another franchise that has found massive success with this three-pronged attack of content is the Pokémon franchise. Off the back of global phenomenon Pokémon Go and Sun & Moon, the franchise enjoyed one of its most successful years to date. While competitors like Yo-Kai Watch have begun to emerge, no other video game property has reached the highs of this skyrocketing brand. 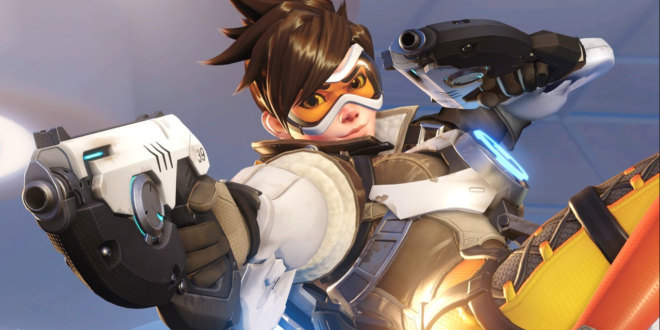 Fledgling video game licensing firm Bits & Pixels believes that properties like Overwatch have the potential to give Pokémon a run for its money. This new agency has recently signed a deal with gaming giant, Blizzard, the publisher behind such juggernauts as World of Warcraft and Overwatch. With the goal of bringing video game products to the mainstream, the firm is eager to tap into the power of toy giants. 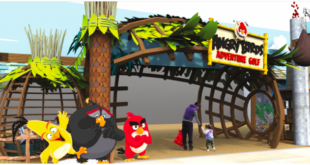 “There’s more a focus on getting a master toy licencee on-board,” explains Sandra Arcan of Bits & Pixels, when quizzed on trends within video game licensing. But what would it take to get retailers to embrace video games? On January 10th ToyNews reported that Jazwares would be turning free-to-play online game Roblox into a toy line and saw traffic spike significantly. The intensely dedicated fanbases for games like Roblox and Minecraft are champing at the bit for any toys, making it the perfect cross-over product, especially given the young age range of the game’s audience. Su-Yina Farmer of Bits & Pixels explains that with many games being digital and free to play, fans crave a physical representation of their passion. With so many lucrative properties going untapped, it seems a no-brainer for licensing firms to get their stakes in with game licenses while they can. For retailers, it’s time to start paying attention to this blooming art form. Bringing the biggest names in gaming from the specialist shops to mainstream stores is a challenge that may hold great reward for those daring enough to attempt it. Game on.